Imagine Being In The BEST SHAPE You Have Ever Been In! It Really Is This EASY – You Will Also Discover How To Become Super Healthy, Have Boundless Energy, And Be The Happiest Person You Have Ever Been. Are you frustrated with your current health and energy levels? Can you remember a time when you were healthier, had more energy and were fitter? Are you confused with all the conflicting information about diet, exercise and health tips? Want to lose some weight but are sick and tired of those marketing gimmicks that promise you the world? Are you wanting to change but are not sure where to start or what to do? Do you get that sickening feeling that you might not be able change your health and your body? Do you feel guilty spending time and money on yourself rather than the family? Are you so stressed and busy that you have no time for yourself to relax and enjoy life? Have you ever wondered what it would be like to have a fit and toned body? Have you ever imagined yourself relaxed, happy and confident with energy to burn? If you answered “YES” to any of these questions, then you are not alone. Like you, these are the very same questions my personal training and group training clients asked themselves before starting with us. 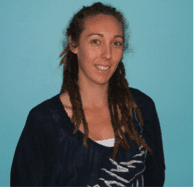 Let me introduce myself – my name is Cameron Corish, the Owner of Core Health Coaching, Personal Trainer, Holistic and Lifestyle Coach and Health and Fitness Writer. During my life, I loved sport and exercise and eventually followed a calling to become a Personal Trainer, so that I could share this passion with others. Unlike other Personal Trainers, I acknowledge the importance exercise plays in a healthy lifestyle but this is not the only critical element in your overall health. 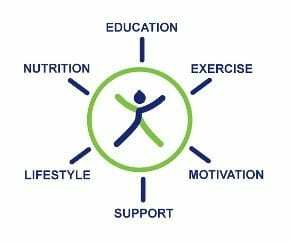 What I have learnt after years of clinical practice, professional development, research and hands on personal training and coaching with over a thousand clients, is that to attain optimal health, it is an integration of 3 main critical factors – Exercise, Nutrition and Lifestyle. Using this integrated and holistic approach , we have achieved some amazing and life changing results for our personal training and group fitness clients, which they have not been able to achieve before – either by themselves, with other personal trainers or with other medical professionals. I know from personal experience that using these techniques and strategies gets results as they have significantly transformed my life from someone who was previously tired, sick, stressed, negative and unhappy. As a health and exercise professional, writer and a holistic lifestyle coach, I completely understand the general confusion that many people have, based on marketing hype, misinformation and different agenda’s to the information we receive. So it is no wonder most people cannot attain the energy and health that they want and need. As an example – 63.4% of adult Australian are overweight or obese (Australian Health Survey 2011-2012) this is predicted to be 70% by 2020. I use a proven, effective and simple approach which gives me a unique ability to be able to help and make a significant difference in people’s lives like Rebecca, Tatum and Aly (and hopefully yours). Here is a little about their experience and then I want to tell you something extremely important. Here Are The 2 Most Important Things You Can Do To Dramatically Improve Your Health STARTING NOW! These 2 items are not secrets, new or even groundbreaking but simple and basic things that are essential to us as human beings. Without them, we cannot build a healthy and successful life. Water is the most important nutrient to the body. The human body is approx 70% water with the brain being 75%, blood 83% and even your bones are 22%. Every single bodily function is linked, regulated and dependant on water. Cleans our kidneys – filters our entire blood supply every 5 minutes. I thought 6-8 glasses was the correct amount? As a mentioned before, the importance of water is not a secret, new or groundbreaking and to be honest most people know that water is important. So why is it that 70% of the general population is chronically dehydrated? You do not need to be Einstein, to know that water is important but it does not change your health until you practically apply this information by taking action. Hence why most people are dehydrated. Hopefully you can see the trend and understand that it is not as important to be giving it 100%, to do it perfectly, delaying to the right time, planning or setting high expectations but more importantly to take immediate action and just start personal training, group fitness training or holistic lifestyle coaching! Now that you have some great information, you have some choices. Why choose us for personal training and group fitness training and how are we different? 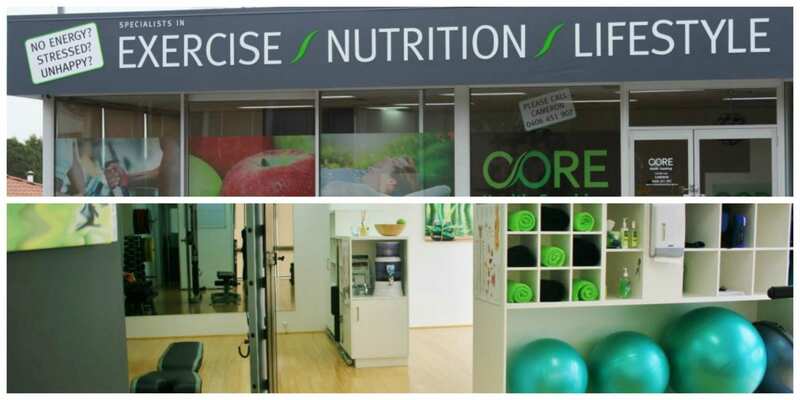 We use a proven, effective and simple approach to wellness incorporating exercise, nutrition and lifestyle. This system improves and empowers our client’s health, fitness, energy and function with lasting results. Using cutting-edge tools and techniques, combined with in-depth and comprehensive assessment, we achieve fantastic results for our clients through valuable lifestyle changes. We are committed to providing amazing value and a guaranteed service for our clients with a caring, personal and professional service that relies on our CORE values of Respect, Honour and Integrity. We pride ourselves on our ongoing technical expertise which is significantly above the industry standard. I have used a couple of personal trainers and I was quite reluctant to try again as my previous experiences had not been enjoyable. I was introduced to Cameron through a friend at work and from the first session I knew that he was different. I could see his passion and it motivated me. He always took the time to explain and teach all the various aspects of what constitutes a healthier lifestyle. I can honestly say that Cameron has motivated me to live a healthier lifestyle and for this I thank him. After every PT session I felt more motivated and excited. To get you started and taking action, we have developed the amazing value “KICKSTART PACKAGE”. In this package, you will hear, see and feel why our integrated and holistic approach is not only different but gets results. You can choose these individually or do both (recommended) as a part of your package. Who Needs the Kickstart Fitness Package? I do not have time? Yes, we all have limited time and for most people it’s getting worse. So if you don’t make time for it now, your ability to do so in the future is significantly reduced. Can you remember, the first time you thought of improving your health? How many months or years ago was that? I do not have money? Agreed, we need to make sure that we spend our money in the rights areas to get the best out of our life. Have you ever wasted money on different diets, nutritional supplements, gym memberships and exercise equipment and it made no difference? Do you see other specialists or professionals to make sure you do not waste money e.g. Financial planners, Accountants or Solicitors? Imagine if you rarely got sick and the amount of money you would save on doctors and medications. Imagine having an energetic life where you achieve more and were happier, relaxed and felt great about yourself and your body. How much is that worth? I have always believed in prevention and investing in your health. I have injuries or a medical condition? Great, we work with a large number of clients who have different types of injuries and given our corrective exercise experience, you can feel assured that we can work with you and your medical or allied health professional. Please note that based on your specific injury or medical condition, some modifications to our program may be required or not applicable, but we will discuss these with you. I’m not sure if I will get results? This is a reasonable concern. I would love to claim ownership of all the systems, processes and strategies but to be honest, I am not that smart!!! In my years of clinical practice, study, research and hands on coaching, I have duplicated some of the world’s best techniques that are internationally proven to get results. Our business and staff have a commitment to our technical expertise to ensure that we get the industry leading information to support, improve and accelerate your results. Check out the testimonials of our clients on this page to see their amazing results. I’m concerned that you will push me too hard? Yes, personal trainers have a reputation for pushing very hard. The best personal trainer s modify exercise prescriptions and exercise sessions to meet clients experience, fitness and strength levels to achieve client’s success. We may also challenge you mentally to change existing personal and lifestyle behaviors. The best personal trainer s modifies the approach based on the clients learning style and ability for change. At the same time, changing physically or mentally does involve being outside your comfort circle but with the support and encouragement of your personal trainer. The light at the end of the tunnel is to have a plan so that you focus your energies in the right priorities with a clear direction and purpose. Remember, you can choose these individually or do both (recommended) as part of your package. We are totally committed to giving an exceptional level of service, every single time you are with anyone of our team members. If you feel that we did not live up to our commitment or you did not receive the standard that you expected, we will refund your session or program fee and also offer you another session completely free. So, if you are truly willing to make some changes, do not let this amazing offer pass, take action and kickstart yourself to get the health and energy you really want, need and deserve. I was at least 30 kilograms overweight when I met Cameron. The distance I’ve come to get this far is huge. I have lost 25cm off my waistline, 3 dress sizes and I am fitter and healthier than I have been in fourteen years. When I started, being trained by a Personal Trainer was a scary idea!! I had this notion that a Personal Trainer would push you to your absolute limits and I felt I didn’t have the stamina or fitness level to do this, until Cameron came along. He was very caring and really took the time to get to know me and how I liked to train and exercise. He seemed to know exactly to what level he could take me; and then he would just take me that little bit further. I finally started to see the results in my body I had been looking for. Cameron also teaches you along the way about what best suits your body so when you are doing some training on your own you are still getting benefit from it rather than the old routines you used to do. All those years of slogging it out on my own, just didn’t get the results because I didn’t have the knowledge needed to be able to do the right exercises to get the results, with Cameron driving the training sessions I always got the best out of my workout. My husband really noticed the results and he is really keen to do some personal training with Cameron as well. Thanks Cameron, you have taken my knowledge and understanding of exercise and training to a whole new level. Cameron’s vast knowledge of inner health and nutrition has encouraged me to modify my diet and I now fit into a dress I wore at my son’s wedding 16 years ago. His ability to keep me motivated (which is a feat in itself) and his belief that I could achieve a higher level of fitness has inspired me. He is unbelievably patient with a professional and caring attitude. It is obvious he is passionate in his endeavor to assist his clients with their journey to better health and fitness. Cameron my Personal Trainer is a great motivator and is very passionate about his role and extremely professional. Within a few weeks of starting my training sessions with Cameron I could feel the difference, I had a more positive outlook and could already start seeing results. Cameron pin-points very quickly target areas by asking a number of key questions. Cameron also showed me techniques to decrease stress levels involved with my work – he is a wealth of knowledge. I have Cameron to thank for his guidance and encouragement; he has certainly led me in the right direction. I have not only improved my well being & quality of life through healthy exercise and diet, I have improved my frame of mind. 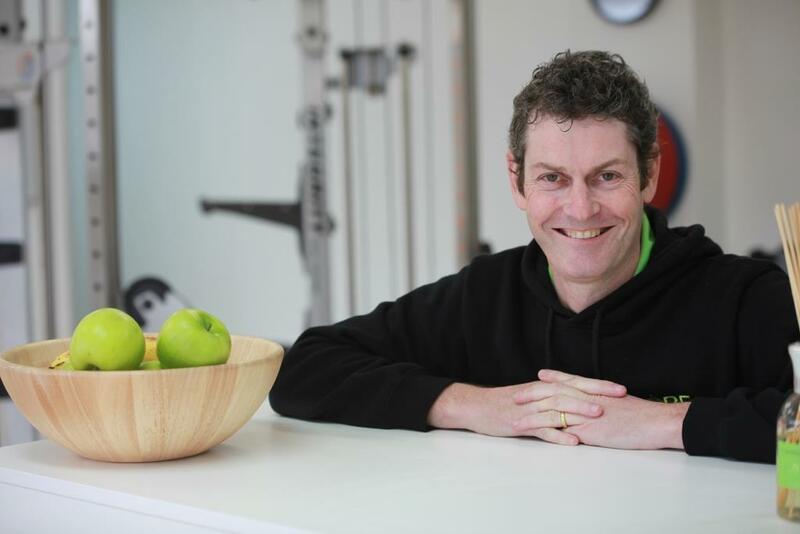 I have no hesitations whatsoever recommending Cameron to anyone; he is a fantastic Personal Trainer.